a passion for innovation and excellence. with top quality and cost-efficient production. Our family firm in Velbert has focused rigorously on quality for more than 40 years. 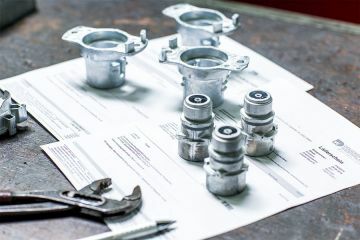 As a long-established foundry with an extensive capability portfolio and consistent quality focus, we combine full service with precision in zinc die casting. The result: high-quality, sophisticated zinc die cast components for all industries. You can take us at our word. Our tradition-rich foundry has a name as a successful family firm and as specialists in hardware and finishing. State-of-the-art technology and a capable team, lean structures and flat hierarchies ensure high-end products and rapid turnaround. We provide consulting whenever you require it, from the initial idea through to the finished component. We taking pride in responding very flexibly to customer needs and staying ahead of the competition. Our services benefit customers in a wide variety of industries – from building hardware to the lighting industry, and from automotive and electrical engineering to sanitation and mechanical engineering. Together with our sister company Druckguss Westfalen in Geseke, we have the latest in-house technology – including for casting simulation and CT and X-ray analysis. As a system supplier, we also provide an outstanding range of finishing options. We offer the great benefit of being a one-stop foundry, serving your needs across the entire cycle from development to assembly – both in zinc and when required in aluminium. Across the board, we operate efficiently and economically, conserving resources and keeping costs to a minimum. In everything we do, we value direct and straightforward contact with customers. Consulting begins in the development phase and does not end until the customer is happy with the finished product. Our high standards of quality and cost-effectiveness also extend to the care and maintenance of customer tooling using our ultrasonic cleaning line – and of course to reliable on-time delivery. As members of the German zinc die casting industry association RZV Zink-Druckguss, we guarantee the purity of all alloys, employ high-quality materials throughout and work to promote the use of zinc. The basis of our quality approach is our highly motivated, broad-based team. 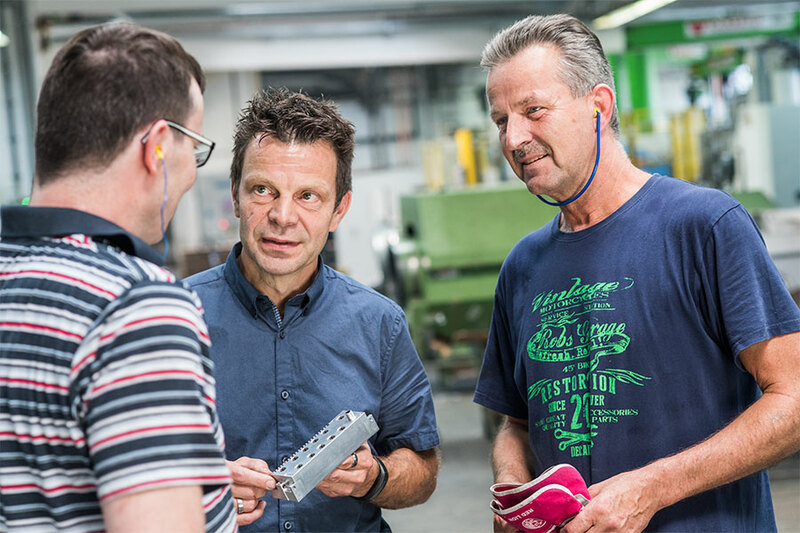 Passion for Die Casting: Druckguss Westfalen Behringer. ALUMINIUM 2016: In a first with our sister company Druckguss Westfalen, we have a joint booth at the Düsseldorf trade fair from 29 November to 1 December. We are your versatile, strong, expert partners in zinc die casting and surface finishing. To assure our long-term market success, our business processes have complied with key quality management standards since as long ago as 1992.